Whether you’re in Carpinteria or Santa Barbara, top-notch dental care is only a few miles away at one of our dental offices located in Oxnard or Camarillo. 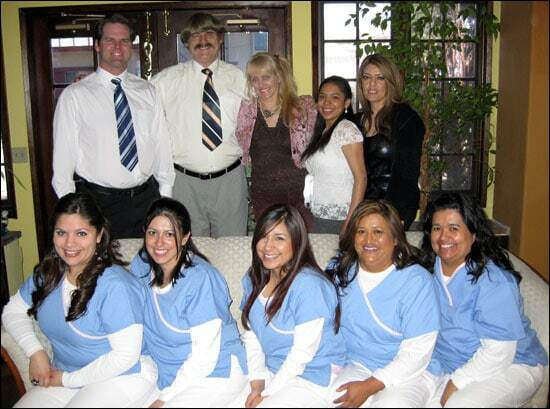 Our dentists truly care about making each of our patients’ smiles look and feel great. Since 1970, we at Carson & Carson, DDS have provided a trusted and quality dental service that our patients have come to rely on when they have a dental emergency. Each year, we are upgrading our knowledge and technology to better provide you with the quality care for your oral hygiene needs. We staff an in house lab technician so we may produce crowns on site. Our offices are also fully equipped and stock the latest technology in digital X-ray machines so that measurements are incredibly accurate, and more importantly, easy and painless with no molds taken of your teeth. 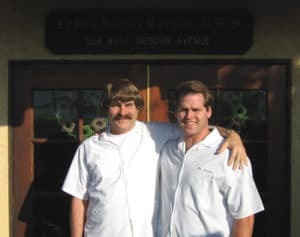 Our treatment plans are individually tailored to each case, and over the 60 years of combined experience that our dentists Dr. Leroy Carson & Dr. Derek Carson have seen, we have treated thousands of individuals throughout Carpinteria and Ventura County. For a stress free visit that you won’t even remember, we also offer IV/IM Sedation because providing you with a bright smile and pleasant dental experience are our priorities as professionals. Call us today if you’re looking for highly trained dentists with decades of experience caring for families and individuals of all ages in Carpinteria and Ventura County 1-805-983-0717. At Carson & Carson, DDS, our offices are conveniently located in Oxnard & Camarillo to best serve Carpinteria and all of Ventura County. Schedule an appointment today to get the dental care you deserve from a team you can trust at Carson & Carson, DDS 1-805-983-0717. Check out some reviews from our past patients.